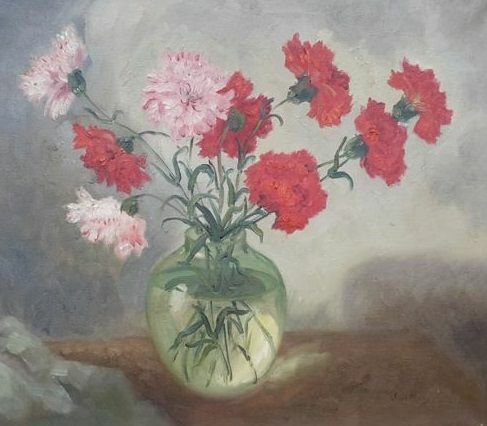 Still life from the early 20th century. 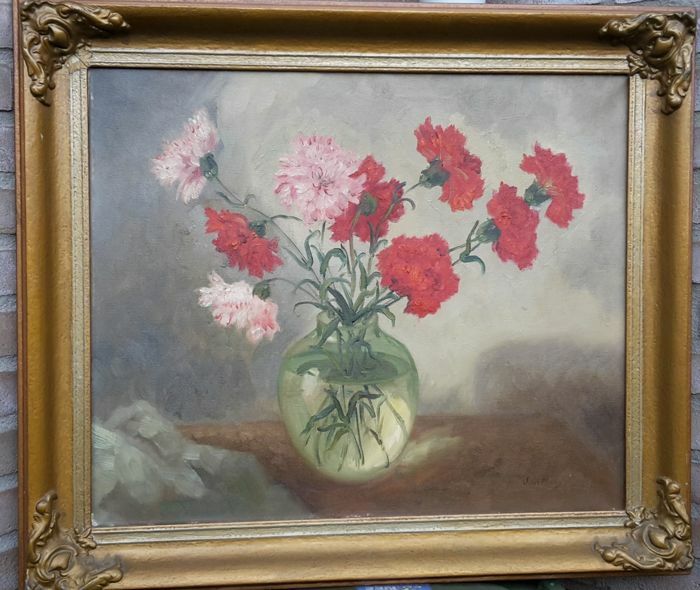 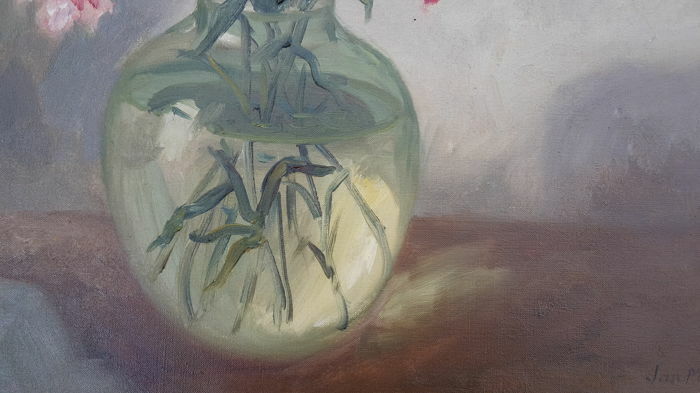 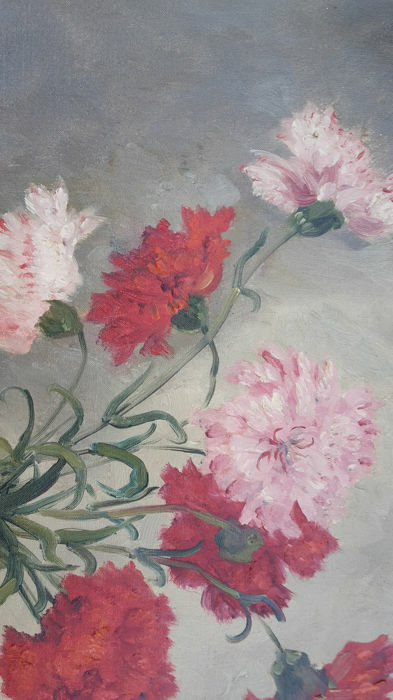 Pictured is a glass vase with flowers; bright rose and red flowers (carnations) on a blurred background. 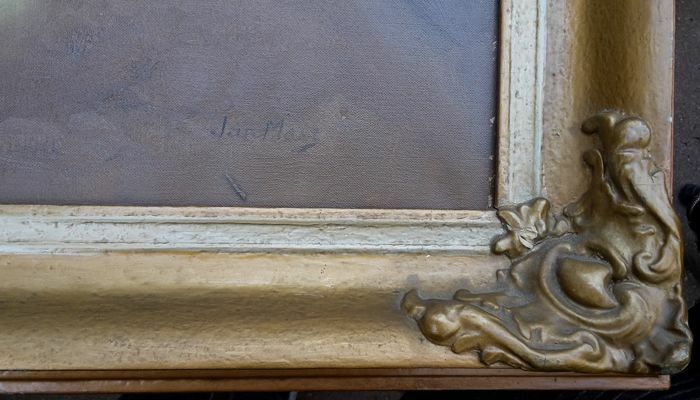 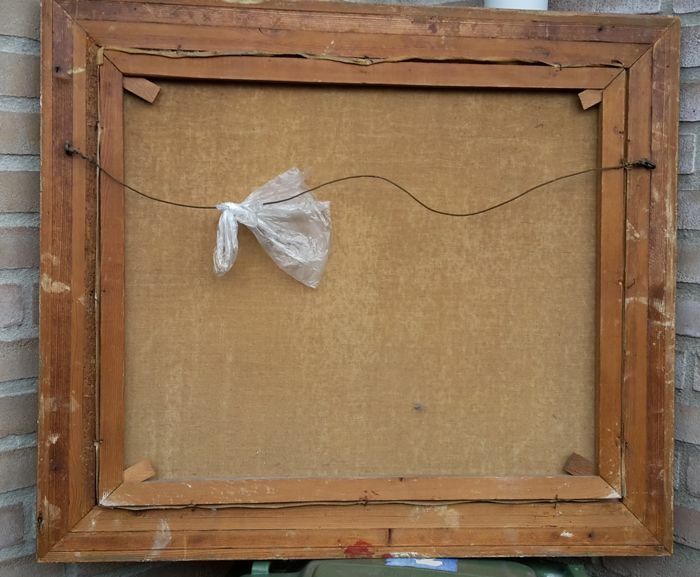 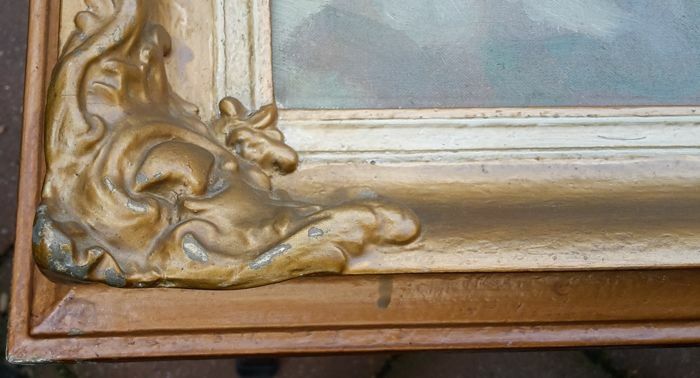 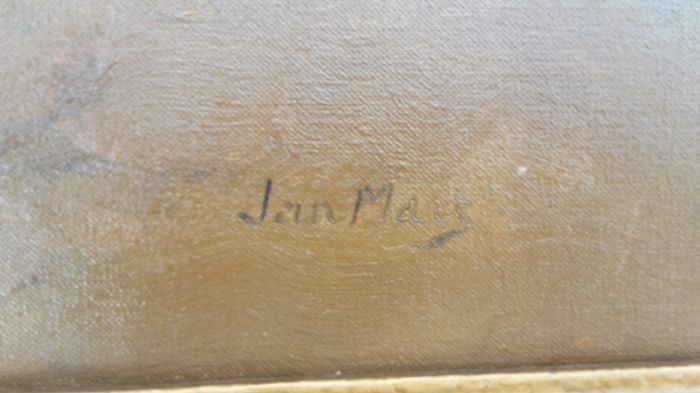 The painting is oil on canvas with a decorated gold-colored wide frame.